This cemetery is on 3 sides of the Pleasant Grove Methodist Church. The church is a small white board building. There is a covered pavilion in back. The church is still active. The church and cemetery are about 1 mile east of the Van Winkle Cemetery and the Climax community. A large arch over one driveway says, "Pleasant Grove." A sign has been added recently that says, "Pleasant Grove Cemetery, established 1890." 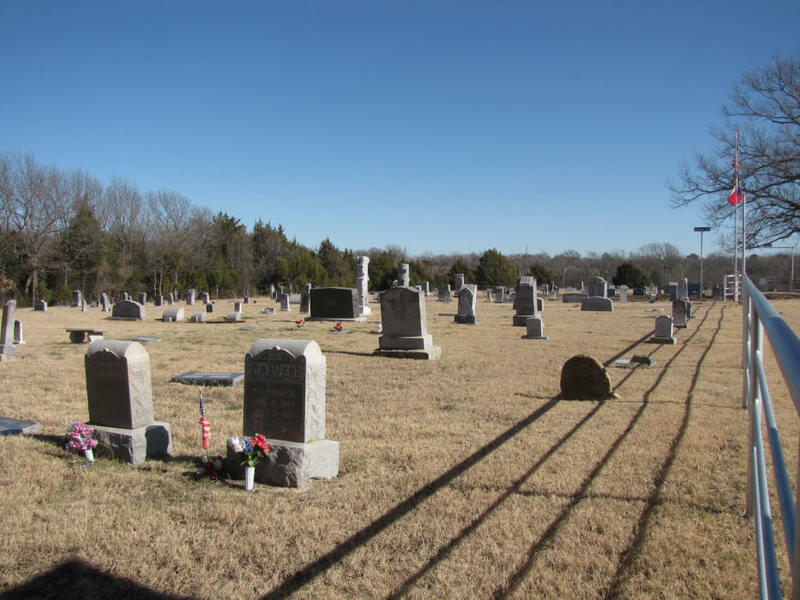 There is a deed for the cemetery listed in Vol 53, p 64. It is for 1 acre and was signed by F. J. Rominger. The deed states that, if there is room, no white person shall be denied burial because of poverty or religious opinions. The cemetery must contain at least 3 acres of land. There are over 600 graves. Most of the burials have been in the middle 1900's. There are few, if any, trees in the cemetery. The cemetery is fenced and well maintained and appears to be active. It is close to being full. There is a cemetery association and visitation day is the second Sunday in June. The Midway School was just south and a little east of the church. The flag pole for the school is still standing. The road in front of the church, FM 2756, is part of the old Farmersville road. 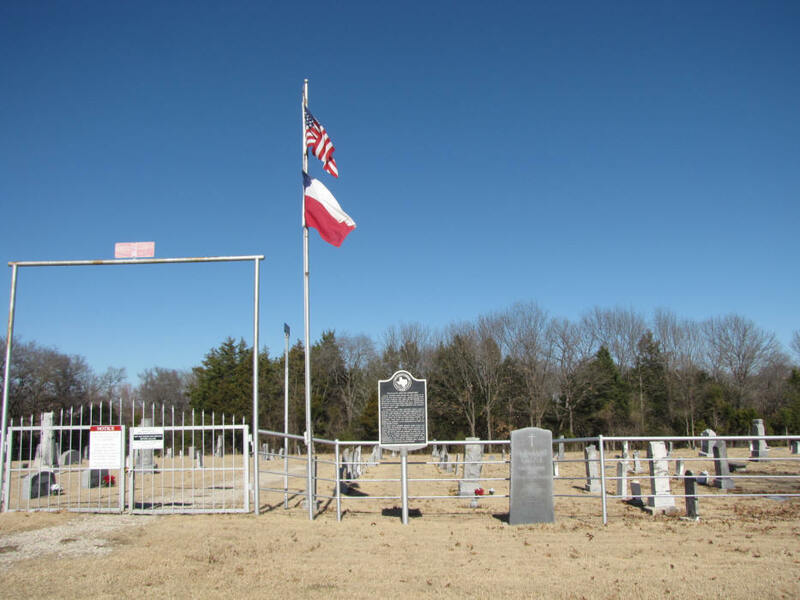 The cemetery has a historical marker. MALISSA'S HUSBAND HENRY L SIDES. U. S. AND INTERNATIONAL CONFLICTS ARE INTERRED HERE. PLEASANT GROVE CEMETERY CONTINUES TO SERVE THE AREA.